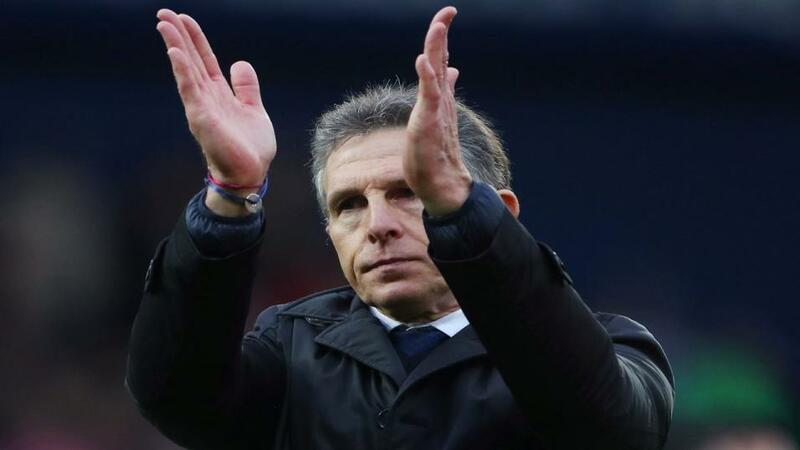 Will Claude Puel be applauding his Leicester team after their match with Spurs? Both Leicester and Tottenham are in fine form as they meet in Saturday's evening kick off. Opta crunches the numbers so you don't have to. "Leicester and Spurs both won their respective home Premier League meetings last season – there were 12 goals scored in matches between the sides, with only Arsenal vs Everton (13) producing more last season." Both teams to score is [1.7]. Leicester and Spurs both won their respective home Premier League meetings last season - there were 12 goals scored in matches between the sides, with only Arsenal vs Everton (13) producing more last season. Both teams to score is [1.7]. Spurs have won four of their seven matches against Leicester at the King Power Stadium in all competitions (D1 L2). Tottenham are [2.04] to win. Since Leicester were promoted back to the top-flight in 2014-15, Premier League fixtures between Leicester and Spurs have produced 34 goals - only Arsenal vs Liverpool (38) has had more in that time. Over 2.5 goals is [1.84]. None of Spurs' last 19 games in the Premier League have ended in a draw, with Mauricio Pochettino's side winning 14 of those (L5). They are [3.25] to win half-time/full-time. Leicester City are unbeaten in their last six games in the Premier League (W2 D4), their longest run without defeat in the competition since May 2016, which was the final game of their title-winning season (12 games). The draw is [3.7]. Tottenham lost their last away league game against Arsenal - they last lost consecutive games on the road in November 2017, in a run of three that included defeats at Arsenal and at Leicester. A Leicester win is [4.0]. Tottenham's Harry Kane has scored 13 goals in 11 appearances against Leicester City in all competitions during his career - more than he has versus any other opponent. Kane is [1.95] to score. Leicester's Jamie Vardy has scored four goals and assisted three in his last seven Premier League appearances against Spurs. Vardy is [2.88] to find the net. Harry Kane has had a hand in eight goals in his last three Premier League appearances against Leicester for Spurs (7 goals, 1 assist). Kane is [4.0] to open the scoring. James Maddison has been directly involved in more Premier League goals than any other Leicester player this season (seven - five goals, two assists). Maddison is [4.0] to score again.